BONUS! 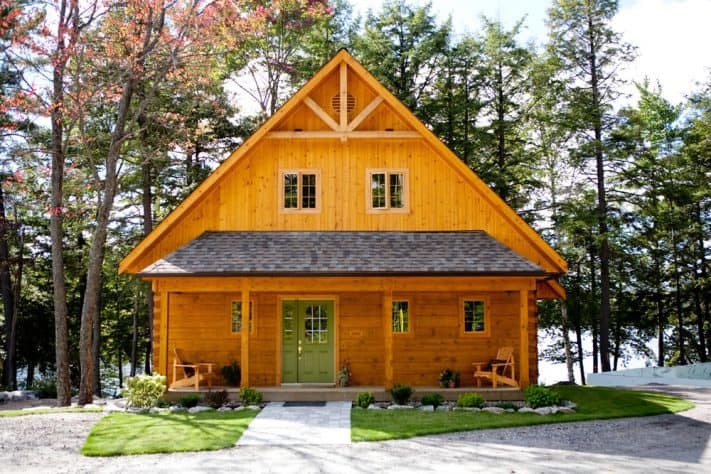 Get our small log home floor plans. There is a debate raging on Facebook, Confederation friends. Have you seen it? We post a new plan or gallery around 2,000 sq. ft or a smidge less and dare to call it “small” and it is sure to ignite cries of “that’s not small!” from some of our loyal fans. We admit, we love it. We have to organize our more than 100 plans somehow. So it begs the question: what is “small” today? Bigger is better. Go big or go home. Size matters. The pendulum swung all the way to the other side in recent years as the tiny house movement surged in popularity and redefined tiny. Couples with pets in tow moved into houses as small as 100 square feet (roughly one-third the size of the average master bedroom in a traditional 2,500-square-foot home). Like their big city counterparts, the 400 sq.ft. bachelor condo, these homes have only enough room for the essentials; utilitarian is the name of the game. The bed doubles as a couch, the kitchen countertop and table are one and the same and every square inch is utilized as storage space. Of course big and small are relative. A family of four in a 1,400 sq.ft. home might find it a bit cramped. For a retired couple, it might be heaven. Many people, including plenty of our customers, have embraced the idea you can live large in a small home. It’s why we’re designing smaller plans—those under 2,000 square feet—more often today. Turns out, good things really do come in small packages. With its “less is more” mantra, the tiny house movement is as much a social position as an architectural one. The goals range from embracing simplicity to boosting environmental awareness and everything in between. But, as worthy as the motivation to go tiny may be from a philosophical perspective, living in a 200-square-foot shipping container often works better on paper than in real life. In fact, according to a survey of more than 2,000 people from a popular real estate website, Trulia, the biggest regret homeowners had about their home is its size. One in three wish they had gone bigger. 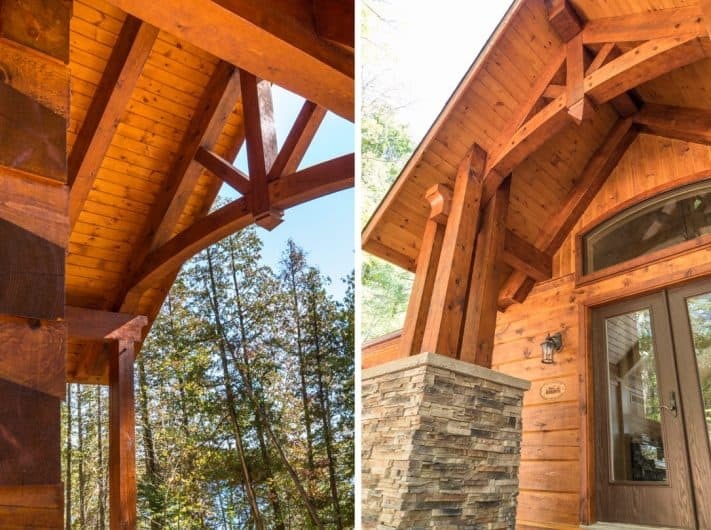 Knowing the small home regret can be real, we’ve focused on making sure all of our log and timber home plans under 2,000 square feet focus on livability and quality. Our clients never have to compromise when it comes to choosing a smaller-size plan. 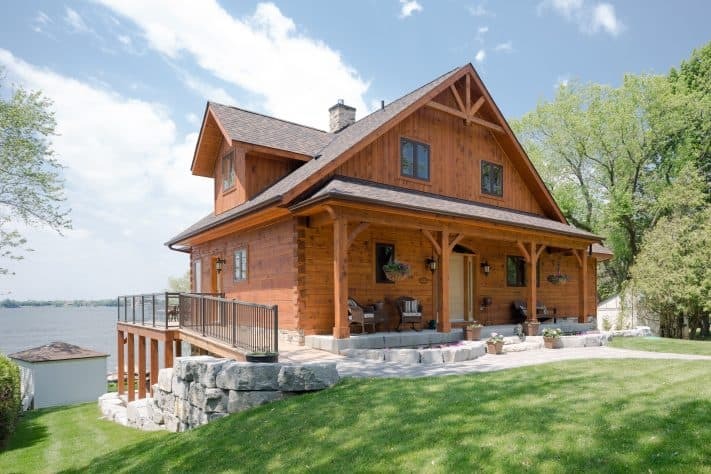 And because every single Confederation home is a custom home, you can bet that your small home will have all of the things that matter to you. Do you crave a large kitchen with a spacious island where you can gather with family over good food and conversation? How about lots of outdoor spaces for relaxing and reconnecting with nature and friends? Or maybe its loads of pantry space and a spacious laundry room that sounds most appealing. Whatever you can dream up for your small home, all you have to do is say the word, and our expert designers will take it from there. Once you have settled on one of our smaller designs, you can expect some benefits, too. Customers who have chosen one of our “under 2,000 square foot” designs often tell us they’re most pleased with the reduced maintenance and lower costs associated with building a tighter footprint. 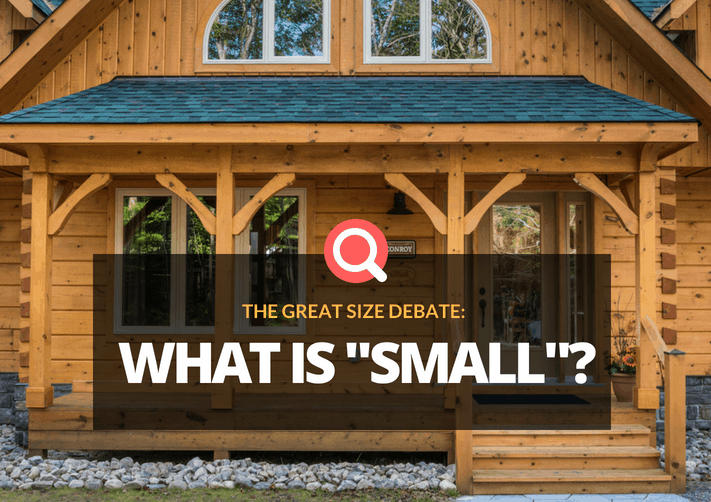 Of course, after being in the log and timber home business for nearly four decades, we know that, in the end, size is only a label, and labels don’t really matter. The best house isn’t one that fits in a box categorized by square footage. The best house is the one that fits you and your family the best. 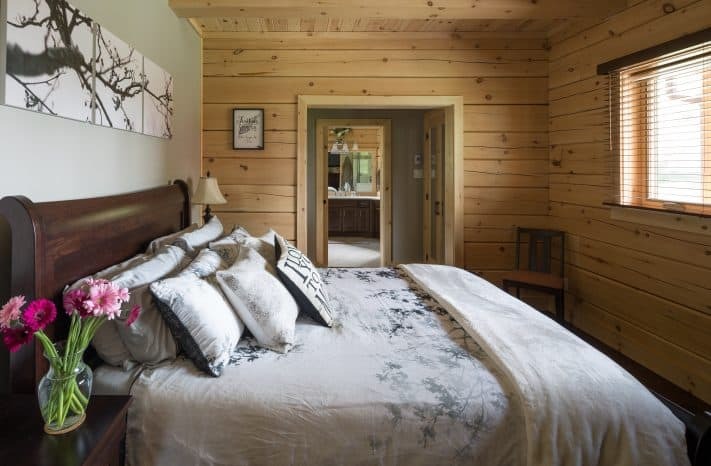 Always, our goal is to help you find the right fit for your family – whether it’s just the two of you and you’re seeking something cozy or whether you hope to be surrounded by a dozen guests every weekend. And to help you easily find a floor plan that suits you, we’ve broken our plans – we have over 100! – into easily searchable size categories. Browse through them, and you’ll find everything from under 1,500 square foot options (we even have a plans for homes under 700 square feet!) to expansive 5,000 square foot designs. 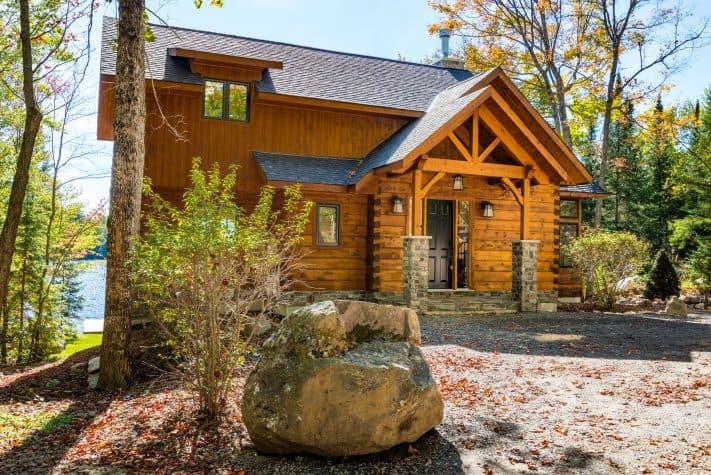 With log and timber homes ranging from small and cozy to spacious and wide open, you’re sure to find the home perfect for you.